Off with their heads! Alice Through the Looking Glass joins the vinimate revolution! 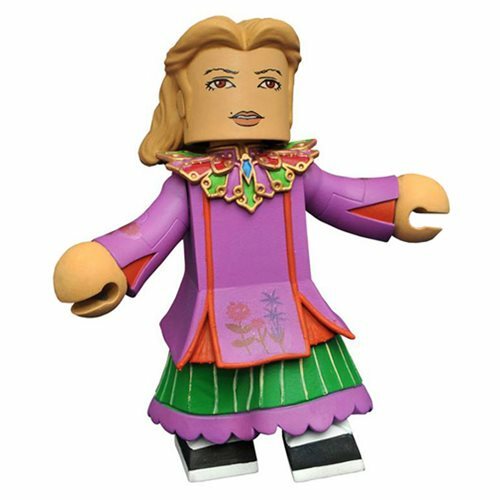 This 4-inch PVC figure is sculpted in the Minimates block-figure style, and pre-posed to display character-specific personality. With a ball-jointed neck, you can add additional attitude to the already perfect pose. The Alice Through the Looking Glass Alice Vinimate Figure is packaged in a full-color window box. Ages 13 and up.